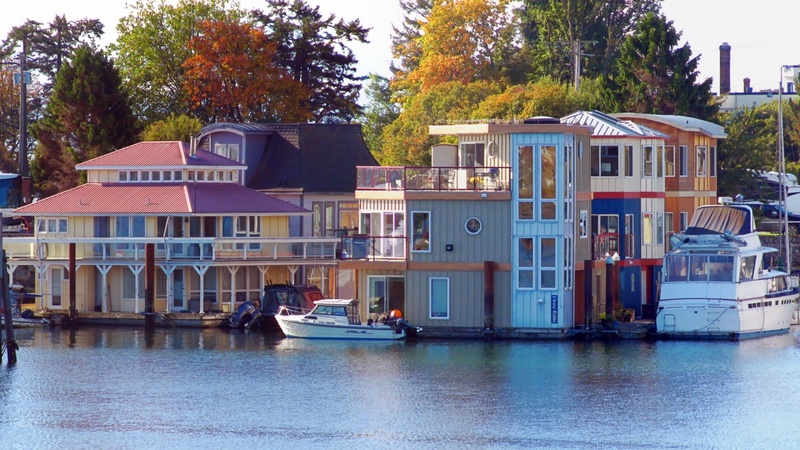 I've featured the float homes of Fishermans Wharf often in this blog, but there is another float home community nearby in the town of Esquimalt. The luxury homes at Westbay Marine Village are considerably upscale than the ones at Fishermans Wharf and they command correspondingly higher prices on the market. It's also a gated community... they are not so welcoming of visitors as Victoria's version.